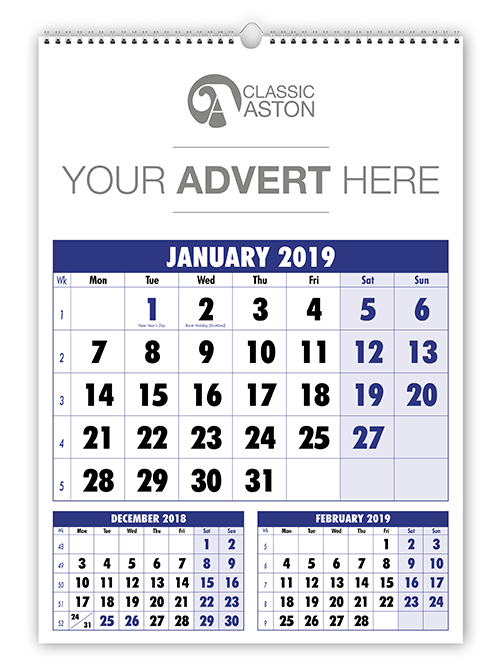 Supply a personalised range of 2020 Wall and Desk Calendars, which can be printed with your own company logos,detail and images. 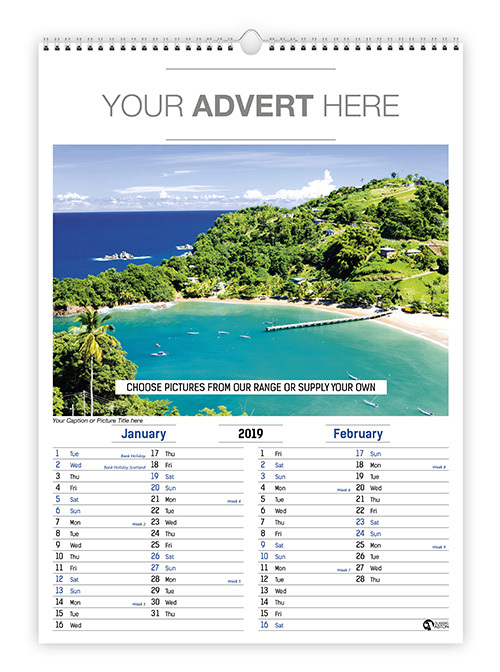 View our full range of Calendars by clicking on the images. 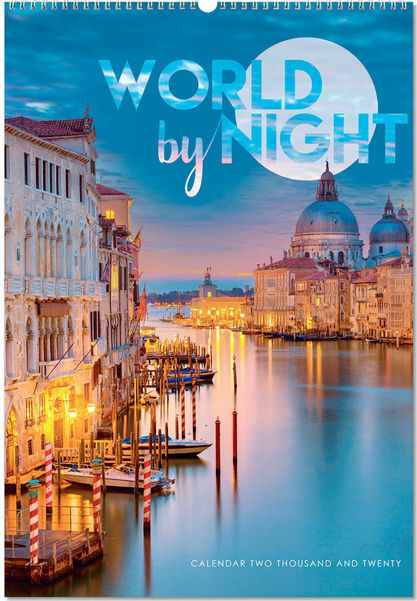 2020 Fully Encapsulated The latest in printing processes allows you to create a full colour advert using your corporate colours and photography. 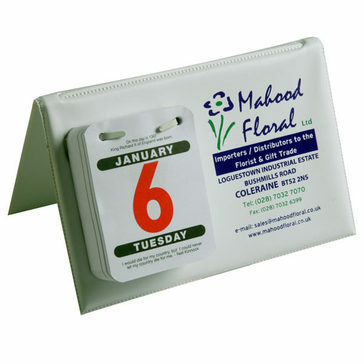 A traditional favourite is made from board reinforced vinyl PVC. 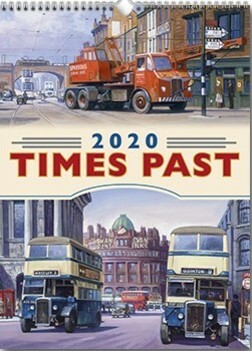 It is available in white, navy blue, red, burgandy. 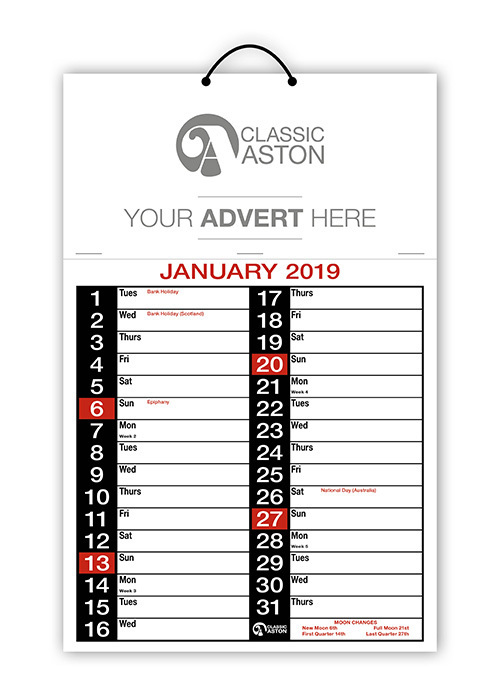 The adverts on the calander and reverse are screen printed in your company colours. 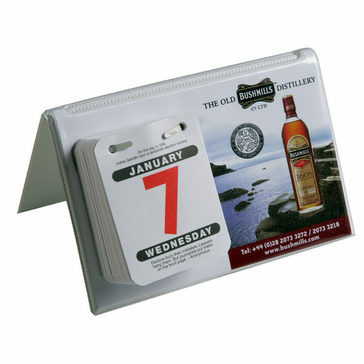 Available as foil blocked on reverse with calendar and foil blocking on front with your company details. 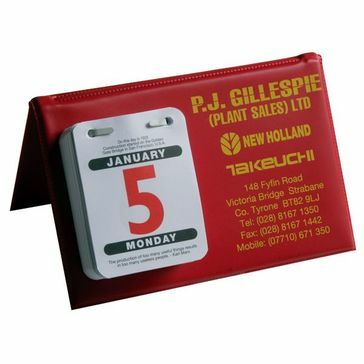 Standard PVC Colours available: Red, Navy Blue, Burgandy & Black.